50th Anniversary of Humane Vitae and How Pope Paul VI Kept Me Catholic! This was originally posted on my blog in 2014 and on Catholicmom.com. Since we commemorate the 50th anniversary of the Papal Encyclical, Humanae Vitae,this week, it seems appropriate to bring it back and update it a little. I'm still too young to really remember John XXIII, however, if John Paul appealed to me because of the relative youth and vigor of his early years, Pope John appeals to me because of the work he accomplished in old age. In the twilight of his life, he did something really big and awesome - he called for the Second Vatican Council. I guess his example just gives me inspiration as a person in middle age to keep on fighting the good fight because it ain't over until it's over! As a young Catholic, I remember learning that Christ said that the gates of hell would not prevail against the church and that whatever the church "bound on earth" would be "bound in heaven." Those seem like impossible statements! Yet that seems to have been proven true through Paul VI's encyclical Humane Vitae. Humane Vitae and a kid in the 70s. Despite the recommendations of this commission, Paul VI did not lift the ban but wrote Humane Vitae instead. I was 9 years old. 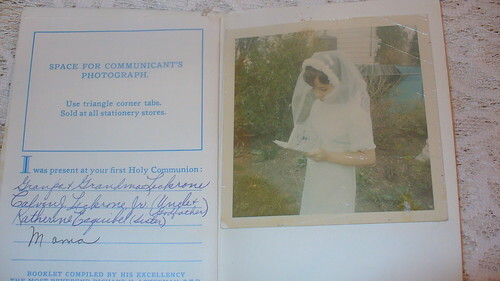 That document overshadowed the rest of my religious formation. Teachers at my "Catholic" high school ignored it or even taught against it under the banner of "social justice." In hindsight, I can even see that we students were not being inspired towards chastity but lured towards the ever-changing morals and lifestyles of the progressive 1970s. It wasn't until I became a mom myself that I could see God's protection on the church, and His will working through Pope Paul's writing. One of the arguments from the commission was that the birth control pill prevented ovulation and could thus be licitly used by married Catholic couples. Humane Vitae clarifies that any type of contraceptive that separates the pleasurable and procreative aspects of the marital act is sinful. What if Pope Paul Had Gone with the Commission? But what if the Pope had swayed to the opinions of the commission? If he had, 30 years later science would show us that ovulation isn't always prevented, babies are sometimes conceived and that the oral contraceptive many times causes these children to be lost to very early miscarriage. The gravity of this is huge. God protected his church through Paul VI, who bravely wrote his Encyclical that saved the church from entering a grave error, scandal, and embarrassment. 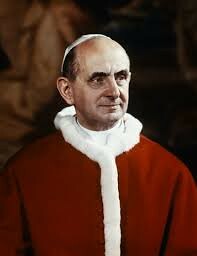 We have also seen with time that Paul VI was a prophet. Many of the things he wrote about in Humane Vitae as being dangerous and sinful have since come to pass. Shortly before his death, the great saint Padre Pio wrote this letter to Pope Paul. In the name of my spiritual sons and of the "Praying Groups" I thank Your Holiness for the clear and decisive words You have spoken in the recent encyclical, "Humanae Vitae", and I reaffirm my own faith and my unconditional obedience to Your inspired directives. Pope Paul's courage and stand against artificial contraception is a big part of what brought me back to the Catholic Church and reiterated for me that the church is instituted by Christ and protected from error by Him. Pope John Paul II built his popular Theology of the Body on Humane Vitae. But further "proof" came when Pope Francis, the darling of the progressive media, beatified Paul VI, moving him closer to sainthood.